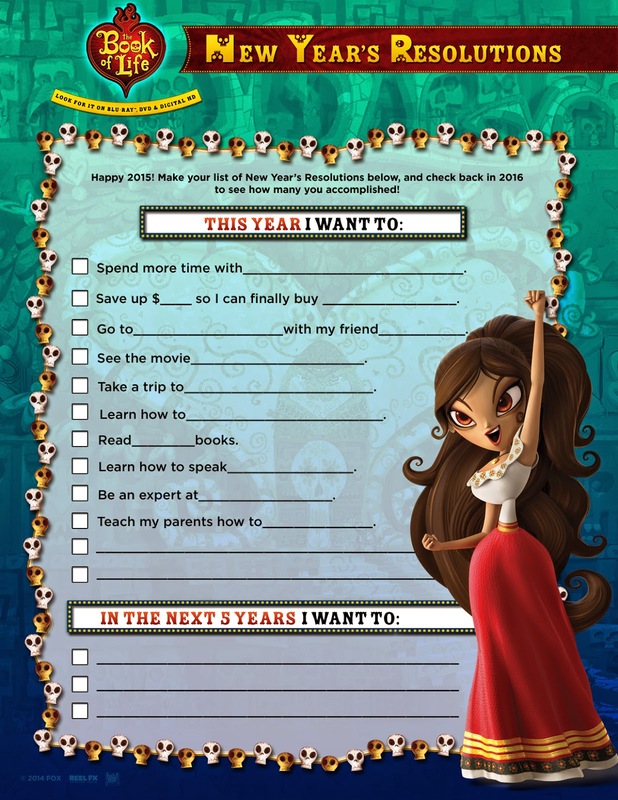 Twentieth Century Fox Home Entertainment invites you and your family to join Manola, Maria, and Chuy as they embark on a magical journey that takes them on an adventure of a lifetime in The Book Of Life, available on Blu-ray 3D, Blu-ray, and DVD January 27th. Written and directed by Jorge R. Gutierrez and produced by Guillermo del Toro, the characters venture to the Land of the Remembered and embrace the rich culture and family history brought to life by the all-star voice cast of Channing Tatum, Zoe Saldana, Diego Luna, Ron Perlman, Kate del Castillo, Christina Applegate, and Ice Cube. 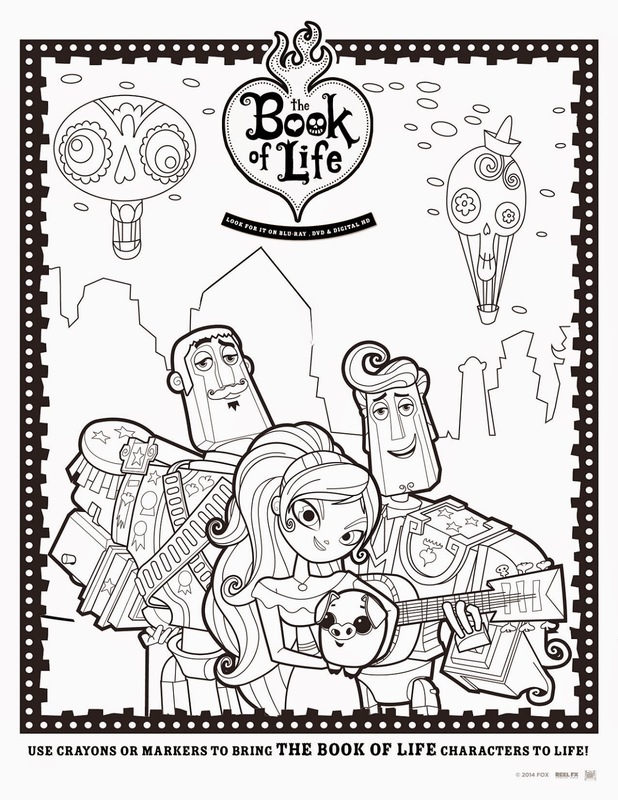 The Book Of Life is a breathtaking animated comedy with a dazzling visual style unlike anything you’ve seen before. Torn between the expectations of his family and the desires of his heart, a young man named Manolo sets off on an epic quest that spans three spectacular worlds in order to reunite with his one true love and defend his village. 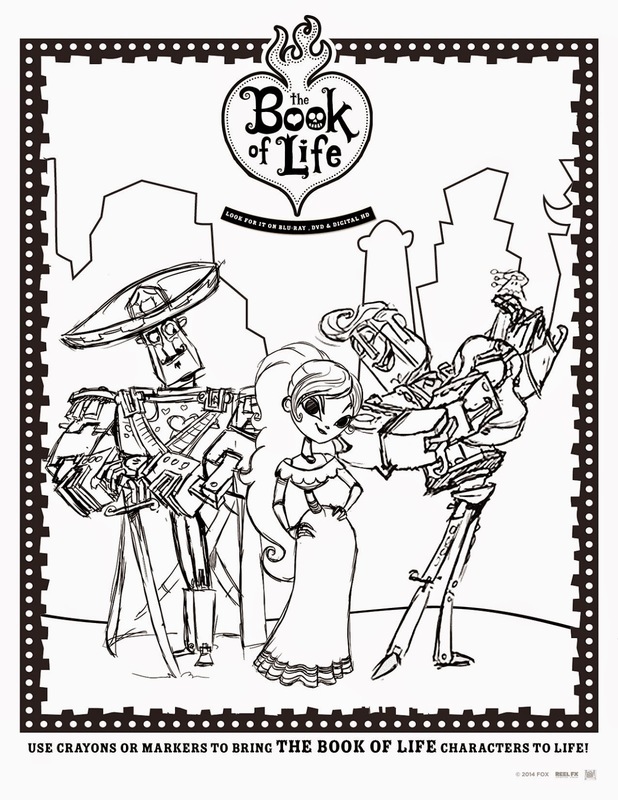 Not your ordinary fairy tale, The Book Of Life is a wondrous fantasy-adventure filled with magic, music, and fun! 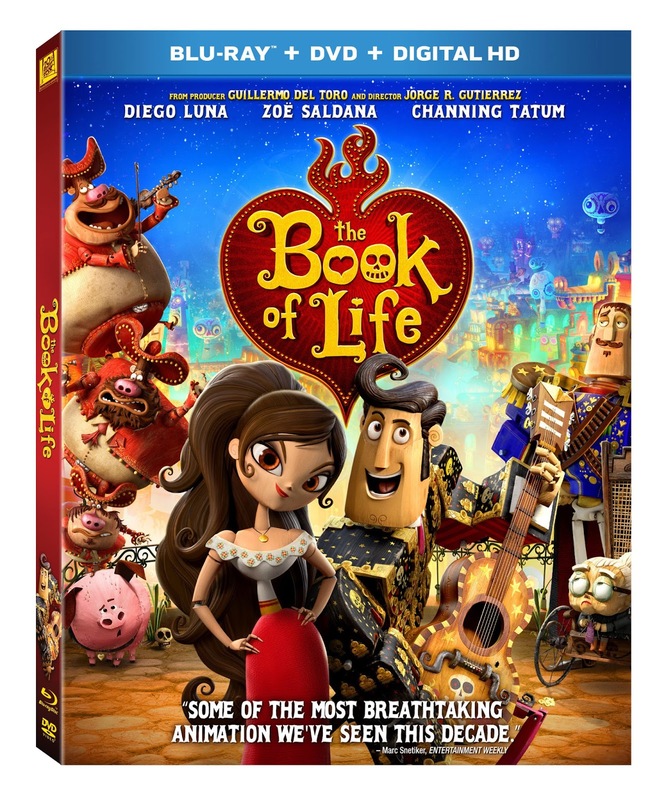 The Book Of Life Blu-ray brings culture and comedy into your home with unforgettable special features for parents and kids alike. Continue the fun with an all-new bonus short “The Adventures of Chuy”, highlighting the film’s lovable scene-stealing pet pig. Additionally, relive the musical hits from the film with the “Music Machine” featuring Latin-inspired versions of popular songs by Mumford & Sons, Radiohead, Elvis Presley, Rod Stewart, and more! ●What kind of cookies will you be leaving for Santa this year? we always leave chocolate chip! Elf is one of my favorite movies. Love the movie Polar Express - Best Christmas present was spending time with the family - left out sugar cookies for Santa. We left frosted sugar cookies for Santa this year, I think he likes them a lot. My favorite holiday movie is It's A Wonderful Life. Best Christmas gift recieved was an opal and diamond ring from my husband. The cookies that I left for Santa this year was decorated sugar cookies. Thanks for having this giveaway. We leave sugar cookies out for Santa and enjoy reading The Polar Express while sipping Hot cocoa! My favorite is Christmas with the Kranks. We leave iced sugar cookies for Santa. I love just about all of the Christmas books and shows on tv, especially the older Rudolph and Frosty the Snowman. We left Santa some frosted sugar cookies this year. My favorite Christmas present ws eons ago when I got my white leather high boots roller skates with giant pink pom poms on them, I sated the wheels off them skates of course this was in the 60's when I was younger and skating was the thing. We left sugar cookies for Santa. Thanks for the chance to win! Best Christmas present I've ever gotten was my diamond ring! ●What is your favorite holiday book or movie? ●What is the best Christmas gift that you ever received? ●What kind of cookies will you be leaving for Santa this year? We didn't leave cookies for Santa this year, just letters! We leave frosted sugar cookies every year for Santa and an apple or carrots for the reindeer.One of my fave holiday movies is Elf.Best gift ever was my son! favorite movie - Miracle on 34th street, best present was a grandchild and we are leaving out oatmeal cookies. My favorite holiday movie is "ELF" but I also like "Love Actually"
Favorite movie is The Bad Santa. Gift, a necklace from my kids, and chocolate chip cookies. My favorite holiday movie is the original 'How the Grinch Stole Christmas ' cartoon. My favorite holiday movie is It's A Wonderful Life! The best gift I ever got was when my fiance (now hubby) gave me a pinball machine (and it's great watching my kids use it now!). And we left rice krispie treats out for Santa this year! Miracle on 34th Street, a puppy and if I left cookies (which I'm too old to do) it would be Gingerbread. My favorite Christmas movie A Christmas Story! National Lampoon's Christmas Vacation is our favorite Christmas movie! Love the movie The Christmas Shoes although it makes me cry every time. My best Christmas gift was a collage of photos in a frame of my children when they were small that I had never seen. We left Chocolate Chip cookies for Santa because Griffin thinks they are everyones favorite so they have to be Santa's favorite too. My favorite holiday movie is A Christmas Story. Best gift? Being with my family, it's always the best gift, truly. We always leave cookies and milk out.